You know what? your skin need an extra care to maintain it and to protect it from the hardness of the weather, in summer exposure to sharp sunlight may damage our skin and winter, not only irritates healthy skin but also can make current skin problems even worse. So we have to take care of our skin and need to moisturize it all year long. A little care can be enhanced the beauty of the skin by using the good quality and natural skin care products. That's a reason i have chose Estelle & Thild which is known as a most famous Swedish brand because of their widest range of natural ingredients and materials. Estelle & Thild’s best-selling certified organic skincare range from Sweden has taken Scandinavia by storm thanks to their unique, gentle and effective formulas that can even be used on the most sensitive of skin. Estelle & Thild’s vast product range have been developed in consultation with dermatologists and toxicologists, they are based on vitamin-rich oils and plant extracts that are good for skin vitality. 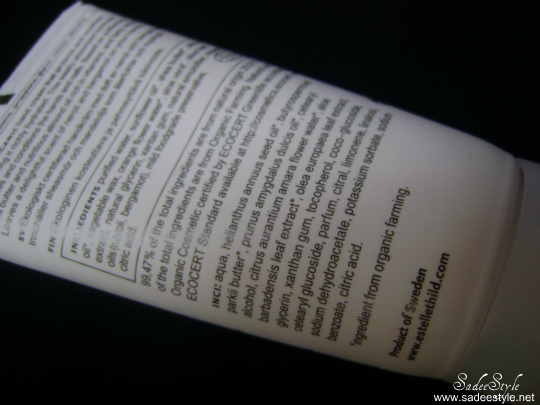 The Ecocert seal of approval represents Estelle & Thild’s Organic and Eco-friendly content, ingredients and materials. This adorable range is suitable during pregnancy and to nourish young and old skin. The Urban Retreat Beautique online store own widest range of Estelle & Thild. My hunt from the urban retreat beautique is Estelle & Thild Ecorganic handcream and its available at 15 dollar in 75ml tube also they offer free hand cream when you buy 2 Estelle & Thild proudcts. I used to be so lazy to pamper my skin and the result came with an extra hard, dry ad rough skin but now I'm like 'obsessed' with taking care of my skin. 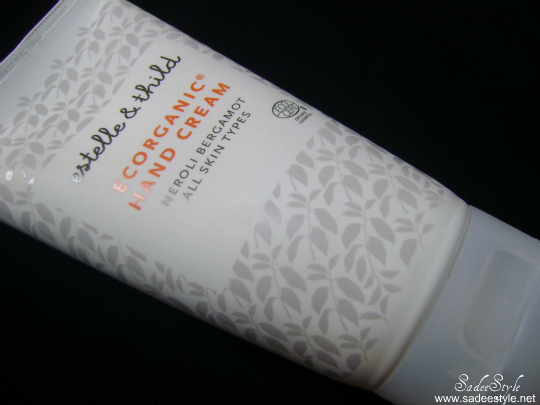 Im really impressed with the Estelle & Thild Ecorganic Hand cream. I adore the velvety texture of the cream, absorbed into a skin quickly also moisturized and conditions the hands and nails. I've used it quite a few times and it given me beautiful results and I noticed an extra smoothness just after few minute of applying the cream also im hooked with the smell. The delightful fresh citrus smell makes this cream completely irresistible! leaves skin refreshed all day long. 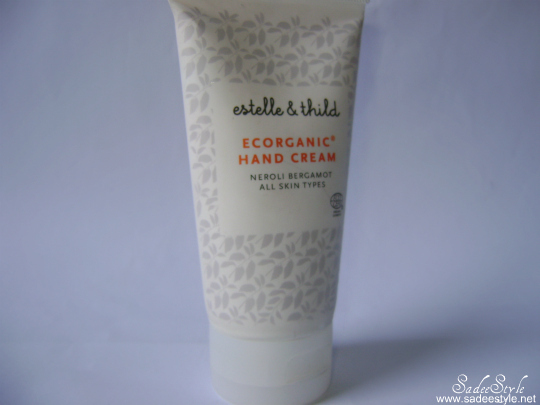 Estelle & Thild Ecorganic Handcream is suitable for every kind of skin As I have a very sensitive and dry skin it did'n irritate me so definitely recommended. Estelle & thild Ecorganic hand cream made with all natural ingredients there are not any harmful product included like mineral oils,parabeans, propylene glycol, silicone and other artificial colors its a certified organic hand cream that protect and soothes the skin, leaving it richly hydrated. That's a very helpful review! I'm more like taking care of my skin too since I tried on a face wash for the first time. Hey,thanks for your lovely comment!I follow back with gfc now. I should try this! Follow me if you want to! I've never heard of this brand but I'll have to check them out. Thanks for commenting on my blog and I am loving yours as well. I'm your newest follower! great post, and I like this product. my hands are so dry because of using chalk, and water.. and I still havent found perfect handcreme, maybe I should get this one!